An evening of fine dining surrounded by family and friends is quintessential to a Thanksgiving feast but overspending to make a Turkey Day gathering come to fruition is optional. Inspire your site visitors to adequately prepare for November’s grandest holiday by promoting these tantalizing Thanksgiving deals now available on the Flexoffers.com network! If your patrons are looking for additional seating for their Thanksgiving get-together, then you’ll certainly want to market the Overstock.com affiliate program links on your site. Currently, at Overstock.com Thanksgiving hosts can purchase dining room chairs and barstools up to 20 percent off, ensuring comfortable and plenteous seating for their guests. Dining Room Chairs & Bar Stools – Up to 20% off Select Products – Thanksgiving is Coming!- Save at Overstock.com! While meal planning is typically heralded as the most significant portion of a Thanksgiving celebration, creating the perfect ambiance is equally important. 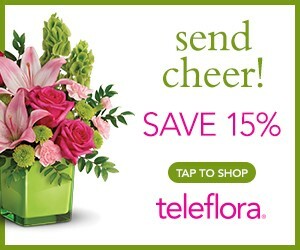 Thankfully, the Teleflora affiliate program enables your audience to do just that by purchasing centerpieces and floral arrangements bursting with vibrant colors and rich fragrances that warm hearts and captures the true essence of Thanksgiving. Save 20% on all Thanksgiving flowers and centerpieces! with code AFLS17119. Offer valid through 11/30/2018. Standing in long lines at the local grocery store for Thanksgiving dinner items can be quite taxing on an individual’s holiday spirit. Through the OmahaSteaks.com, affiliate program, your page viewers can purchase Thanksgiving packages up to 56 percent off regular price to help customers save on time, and money, freeing them up to focus on more important matters such as family, and friends. Flight costs tend to spike during the holiday months, but your readers can save big on airfare when they book through MyFlightSearch. MyFlightSearch has an entire page dedicated to helping its users find low Thanksgiving flights on top domestic and international destinations. Its commitment to affordable prices during increased holiday travel permits vacationers to traverse great distances to unite with family without breaking the bank. Through the Dylan’s Candy Bar affiliate program, your web traffic can satisfy their sweet tooth with a myriad of Thanksgiving themed confections. Now at Dylan’s Candy Bar, shoppers can purchase moist, chocolate-dipped seasonal berries which serve as a perfect accompaniment to a savory Thanksgiving dinner. Shop for Sweet Thanksgiving Treats at DylansCandyBar.com! Pleasing every guests’ pallet when planning Thanksgiving festivities is exceedingly difficult but appealing to the wine connoisseurs of your audience is made simple with beverages from Laithwaite’s Wine (US). Laithwaite’s Wine (US) provides its members 12 expertly selected world-class wines delivered to their door in time for Thanksgiving for just $69.99. Save $120 on 12 World-Class Wines for $69.99, Plus Free Corkscrew Set! Market these tantalizing Thanksgiving deals on your landing page via FlexOffers.com today!